Hello friends! 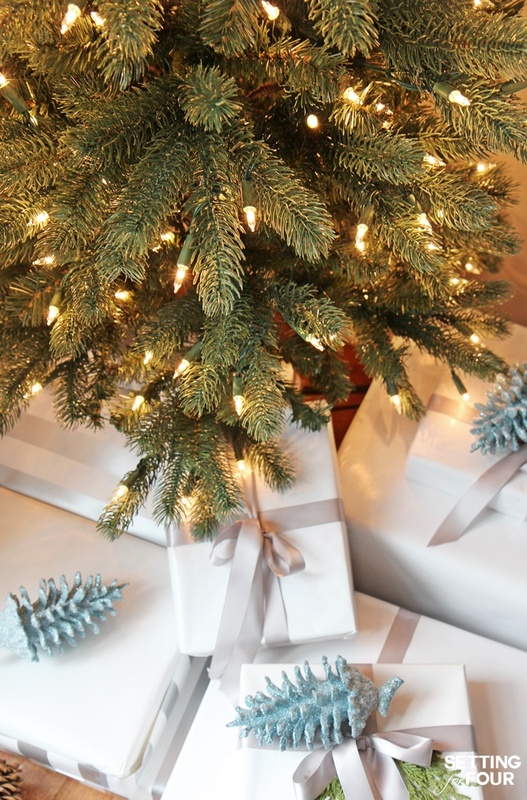 Do you have a narrow space in your home that you’d love to decorate with a Christmas tree but a regular size tree won’t fit? 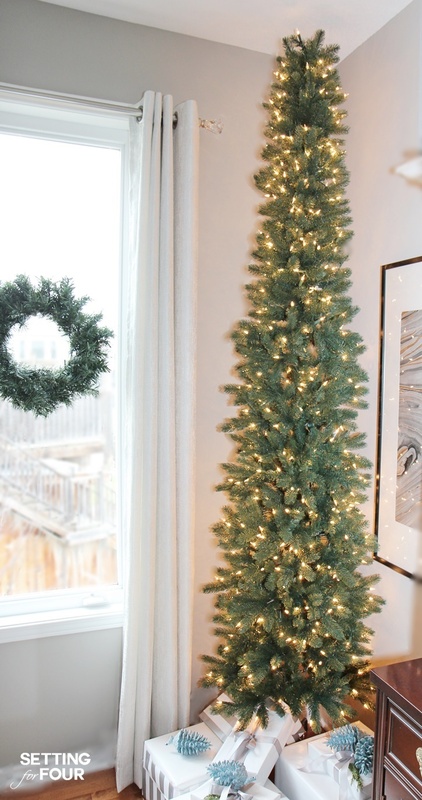 A Pencil Christmas Tree Style for narrow spaces is the answer! 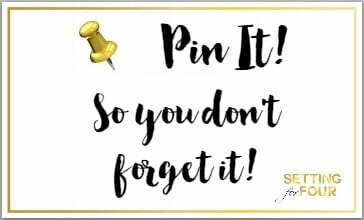 Today I’m sharing with you how you can decorate any narrow spot in your home with a pencil Christmas tree style – a tree designed with a slim profile to fit into tight spaces like foyers, hallways and corners. This slender tree is also perfect for small apartments and condos! My dining room doesn’t have enough room to fit a tree having a regular size tree but I can still create a festive holiday look with a pencil tree! I decorated a corner of my dining room with this gorgeous, straight from the forest style Slim Pencil Christmas Tree. This tree is the perfect size to fit into a corner. Isn’t it beautiful? I love it’s slim shape! 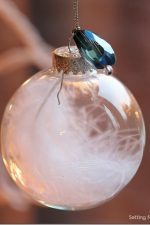 It’s so elegant and sophisticated on it’s own ….and with all the clear mini lights it’s so beautiful lit up! 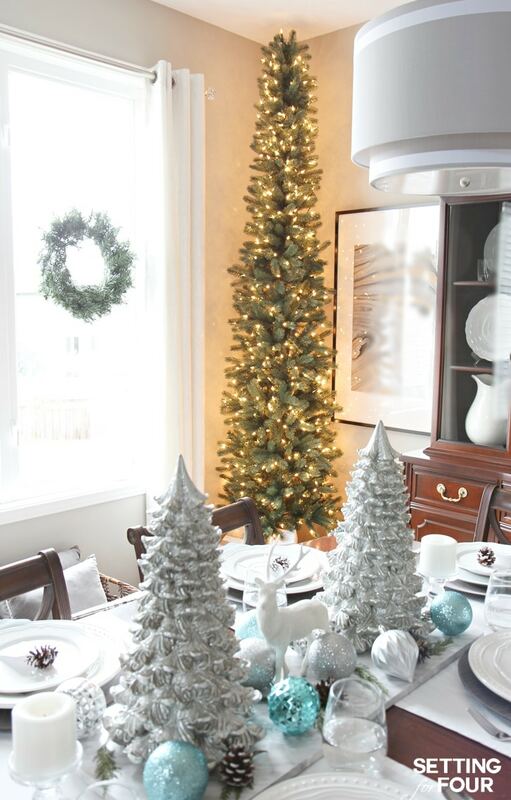 It provides the perfect touch of woodland style holiday cheer to our Christmas dining room! I’ll be leaving it up after Christmas so we can enjoy the ambiance of it’s glow. 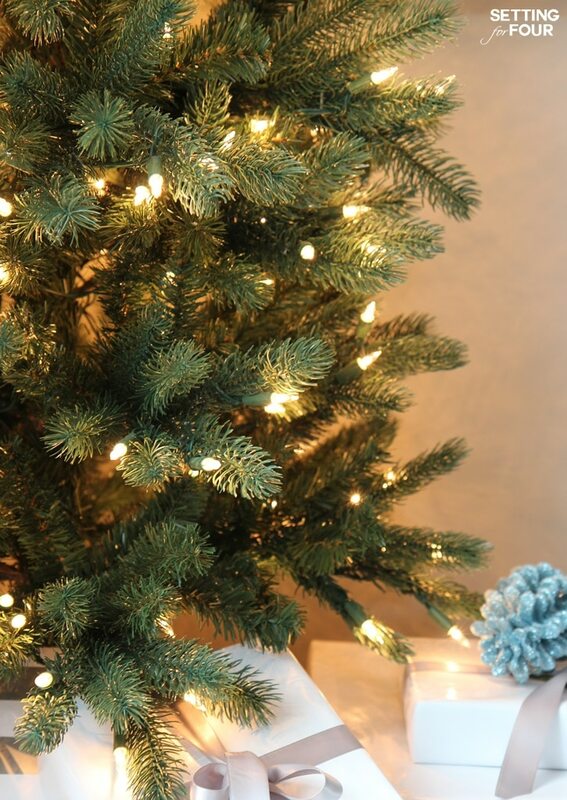 With a pencil Christmas tree you get the classic Christmas tree look without sacrificing space! 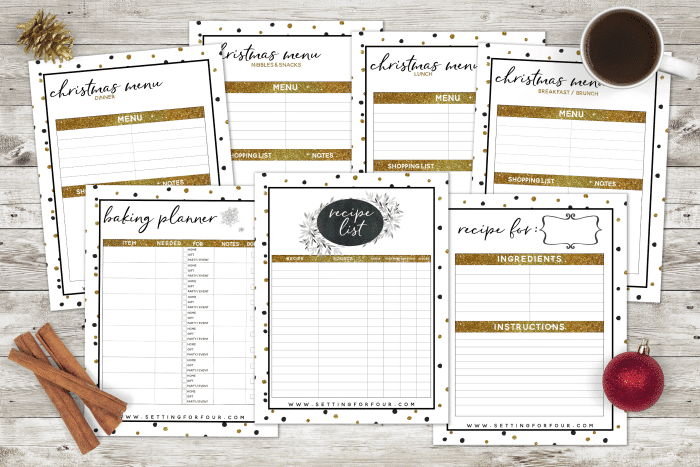 Pin this to your holiday board and see all the holiday decor I’m pinning here! Do you have a narrow space or corner in your home…or your apartment or condo….where a Pencil Christmas Tree would be the perfect holiday solution? 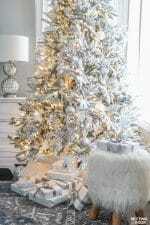 The Perfect Christmas Tree Style For Your Room – All Sizes, Shapes & Colors! 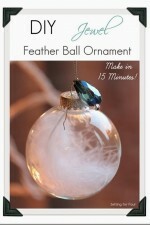 This is such a great idea to add some festive cheer to a small space! Exactly Meg!! I’m so glad you like this Balsam Hill tree and it’s clever slender shape! Happy Holidays! I love tall, narrow trees. We have a small space and it has been a life saver in our area. This one is beautiful! Thank you Leanne! So great to hear you are a fan of narrow pencil trees too! I love it! So easy to put a beautiful tree in any room when it’s narrow. I love this idea, would be perfect in our loft! Great idea Kristin – it really would look pretty in your loft! I love this style of tree. It would be perfect for our tiny condo. Balsam Hill has fabulous products. Wow that’s a tall one! The needles look so real. 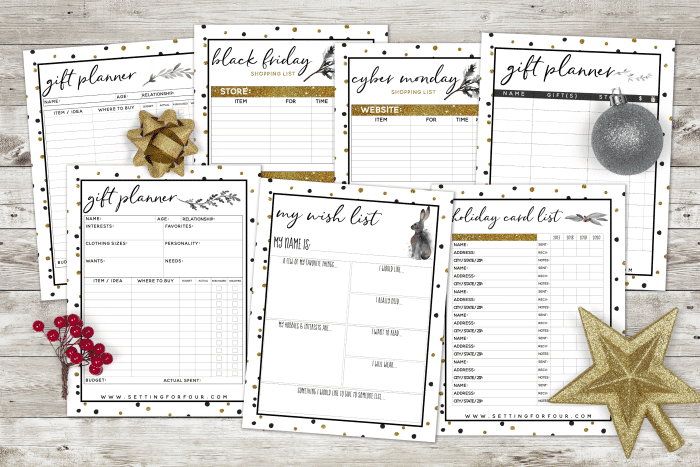 Perfect to skinny spaces for sure! I love your white pumpkin with the embellishment. I love seeing unique ideas people come up with and this one is great. I’ll be taking my first vacation in over 15 years with my Mother. After medical bills and raising 2 children on my own for the most all their years I can’t wait. Look forward to seeing Fall landscapes that we don’t have here in Florida. Hi Gayle – I’m not sure which tree you are referring too!